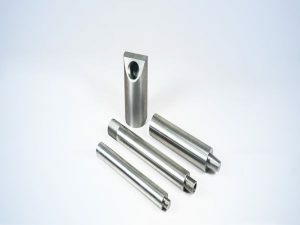 Molybdenum electrodes are formed by balanced pressing, forging to various of types after sintering with medium frequency furnace and then turning, rolling, planning and milling. It is used as electro-heat equipment of the glass fiber kiln. 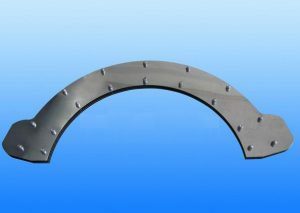 Generally, the diameter of the molybdenum electrode is between 35 ~ 75mm, while the size of the molybdenum electrode is determined by the current density. Normally, the electrode with the diameter of about 50mm is selected for melting borosilicate glass, and the promotion of the electrode in operation depends on the actual current density. For the vertical electrode, the electrode continuation should be considered when the density reaches 0.8A /cm2. As the electrode consumption increases, the current density of the electro melting furnace with a longer furnace age (more than 4 years) increases. If the electrode is not ready to be continued, the current density needs to be controlled at a lower value. When the current density of the molybdenum electrode runs below 0.6A /cm2, the electrode is barely consumed. The molybdenum electrode has the characteristics of high-temperature resistance, but it reacts with oxygen at high temperature. When the temperature reached 400 ℃, the molybdenum will begin to form molybdenum oxidation (MoO) and molybdenum disulfide (MoO2), which can adhere to the surface of molybdenum electrode and the form oxide layer, and organize the further oxidation of molybdenum electrode. When the temperature reaches 500 ℃ ~ 700 ℃, molybdenum will start oxidized to molybdenum trioxide (MoO3). It is a volatile gas, which destroys the protective layer of the original oxide so that the new surface exposed by the molybdenum electrode continues to oxidize to form MoO3. Such repeated oxidation and volatilization makes the molybdenum electrode continuously eroded until it is completely damaged. The molybdenum electrode reacts with some components or impurities in the glass component at high temperature, causing serious erosion of the electrode. For example, the glass solution with As2O3, Sb2O3, and Na2SO4 as the clarifier are very serious for the erosion of the molybdenum electrode, which will be oxidized to MoO and MoS2. The erosion rate of molybdenum electrode increases with the increase of temperature. When the glass composition and process temperature are stable, the current density becomes the factor controlling the corrosion rate of the electrode. Although the maximum allowable current density of the molybdenum electrode can reach 2~3A/cm2, the electrode erosion will be increased if the large current is running.